We’d love your help. Let us know what’s wrong with this preview of How to Love Yourself Cards by Louise L. Hay. 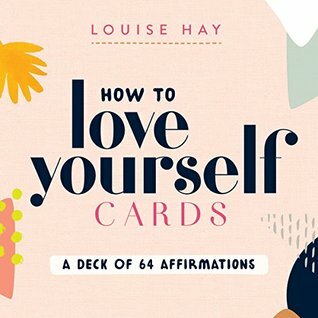 Published July 17th 2018 by Hay House, Inc.
To ask other readers questions about How to Love Yourself Cards, please sign up. She moved to Chicago, where she worked in menial jobs, before moving in 1950 to New York. At this point she changed her Louise Hay was born to a poor mother who married Hay's violent stepfather. When she was about five, she was raped by a neighbor. At fifteen she dropped out of high school without a diploma, became pregnant, and on her sixteenth birthday gave up her newborn baby girl for adoption.